Squashes belong to the curcurbitaceae family along with cucumbers and melons. The squash family is highly diverse, just like squash recipes: pies, cakes, desserts, soups, smoothies or simply roasted with Sunday lunch. They can be peeled & steamed or roasted in wedges without peeling and the flesh scraped out later. Small squash can be roasted whole & stuffed. The array of shapes & sizes can be bewildering, and via Unicorn’s Veg Team squash tasting nights we’ve produced a flavour guide. Remember, each season is different and taste is subjective, so tell us what you think! Unless stated below, skins are edible depending on your preference. We haven’t included butternut because most people know about this variety, and the UK season is very limited. The varieties below and overleaf are much better-suited to UK growing conditions and are, of course, delicious! A short season. Less mature with less-developed flavours. 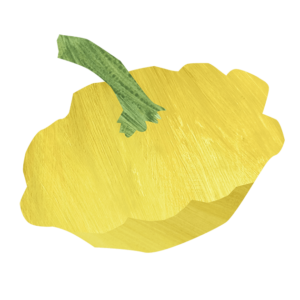 Patty pan: Mild tasting, buttery & juicy. Custard Squash: Mellow taste. Courgette-like. Sweet winter squashes store well for a long season – into February or longer in ideal conditions. 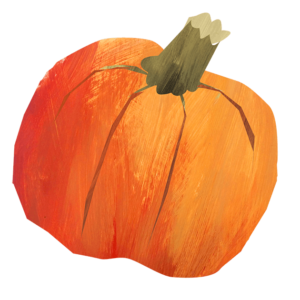 Orange Pumpkin: Classic squash flavour, suited to many uses. Sweet but more subtle than green/blue. Green Pumpkin: Reminiscent of Chestnut. Smoother, sweeter and more floury than orange pumpkin. Queensland Blue: Silky smooth, melt in the mouth, sweet. Galeuse d’Eysines: A massive squash! Sweet. Super smooth, great for purees & soups. Blue Kuri: Super sweet, floury, rich, chestnutty, creamy flavour. Crown Prince: smooth, moist, sweet and bursting with flavour. Marina Di Chioggia: Dense, sweet and floury. Blue Ballet: Dense, dryish and sweet with a hint of nuttiness. Squashes that are moister & lighter with more texture to the flesh. Green Acorn: Nutty, sweet, rich,buttery. Autumn Crown: Delicately sweet, soft, creamy & moist. Looks like spaghetti but melts in the mouth. Cream of the Crop: Buttery, light, nutty. Table Gold / Ace: Slight honey flavour. Rolet: (a.k.a. Little Gem): Juicy, sweet, smooth & creamy. Inedible skins. Celebration: Between sweet potato and banana! Sweetcorn flavours. Harlequin: Creamy, moist, buttery, sweet. Jack Be Little: Deep savoury flavour, subtly sweet, edible but thick skin. Delicata: Creamy, honey-like, moist, reminiscent of sweet potato. Turk’s Turban: Savoury cabbage-like flavour. Georgian Candy Roaster: Mildly sweet, creamy, light, melt in the mouth texture. Spaghetti: As the name suggests, forms translucent spaghetti-like strands when cooked. Plain flavour but cook and decant or stuff. Fun! Pyjama: Type of spaghetti squash. Marrow: the British classic (an overgrown courgette)! Moist with plain subtle flavour means it is ideal for stuffing.